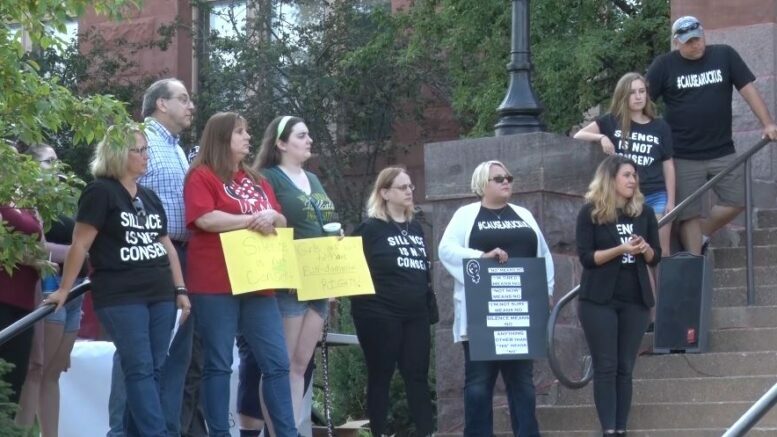 MARQUETTE — Supporters and activist gathered on the steps of The Marquette County Court House Thursday evening to show their support for survivors of sexual assault put on by We Are The Marquette Movement. This movement that has been ongoing, all started when someone mentioned “silence is not consent” in a sexual assault defense case. Organizers want to help be the voice for the survivors. According prosecutors office there are currently about 20 open sexual assault cases. With the amount of cases Prosecutor Matt Wesis sees. A new wave of awareness needs to happen. Survivors who are hesitant to come forward about their experiences will find support in those who are willing listen and be present in the fight against sexual assault. For those who are interested in getting their hands on a T-shirt featuring their message, they are available for purchase at the Women’s Center located in Marquette. 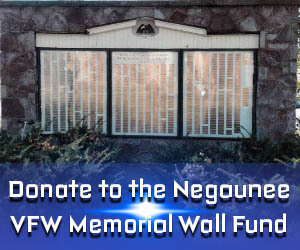 All proceeds for the T-Shirts go to support the Women’s Shelter.